"Chinese region" redirects here. 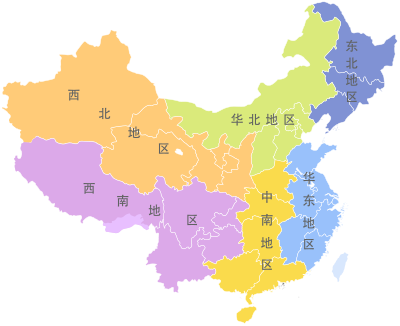 For regions of the Republic of China (Taiwan), see Regions of Taiwan. For other uses, see China (disambiguation) § China region. This is a list of traditional top-level regions of China. 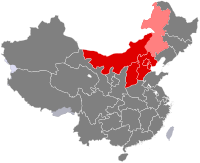 This is a list of the 34 provincial-level divisions of the People's Republic of China grouped by its former greater administrative areas from 1949 to 1952. 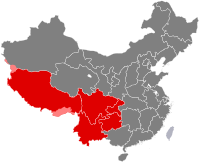 East China 832,028 km² 407,527,091 499/km² The above-mentioned seven entities plus the claimed Taiwan Province. Taiwan and its surrounding island groups are administered by the Republic of China but claimed by the People's Republic of China.